"I am happy I found them and will stay with them." "The dentist and his assistant were both really friendly." "Seriously the best dental office I have ever been to. Never going anywhere else!!" "They are awesome! The staff is extremely comforting and friendly." "The dentists here are perfectionists...just terrific!" "The staff are friendly and the environment is comfortable." "He is also one of the sweetest, most gentle doctors working on this planet." "Dr. Beal and his staff are extremely kind, experienced and personable." "They are all super nice and super professional." Dr. Mark C. Beal D.M.D. established Mark C. Beal, D.M.D. & Associates in 1982 to provide exemplary, customized dental services that exceed a patient’s expectations. Dr. Beal and his team know that a healthy smile is about more than good health; it gives the joy of confidence. Mark C. Beal, D.M.D. & Associates is a family-oriented practice providing high-tech cosmetic and general dentistry services to the Boston community. The office is equipped with the latest dental technology to guarantee the best personalized care for every unique situation. Treatments that are offered are conservative and high-tech with a focus on providing the best options for the well-being of the patient. The welcoming team considers it a privilege to care for its patients and help them improve their dental health. 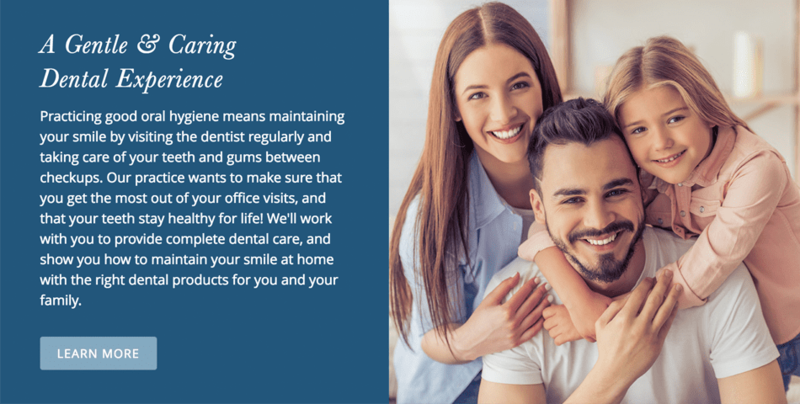 In addition to general procedures, implants, and education on the basics of good dental hygiene, the team offers a wide variety of cosmetic services to improve smiles like Opalescence® teeth whitening, teeth straightening using Invisalign®, and aesthetic treatments like dermal fillers and Botox®. To ensure that the most advanced treatments are always available, Dr. Beal and his associates are committed to continuing their dental studies. Patients can rely on premium cosmetic and general dental services using the highest quality materials, tools, and dental laboratories. This includes on-site digital X-rays and digital scanners for impression-taking, and the longest-lasting, most natural-looking dental prosthetics. Mark C. Beal, D.M.D. & Associates is currently accepting new patients; call or schedule an appointment online today. Please our office with any questions or concerns regarding your dental health and smile and a friendly and knowledgable member of our staff will assist you. "They gave me a great recommendation when I needed a root canal. Very friendly and courteous staff, I couldn't recommend them more." "My dentist, Dr. Balaban, is probably one of the coolest doctors around. Very down to earth, honest and super informative. All in all, very happy I found this place!" "I have been going to this dental office for many years now. Everyone is very pleasant and I trust the care Dr. Beal and his team provide." "I met Dr. Mark Beal years ago. He's gathered up an incredible team of hygienists, support staff, and a host of others. He's the best and so is is his staff. "I've gotten some of the best dental care that I've ever had at Dr. Beal's office. The receptionists are great...the doctors and hygienists are top-notch." "Dr. Beal's office is full of great dentists and associates who really care. I've been going there for over five years. They are kind and skilled." "Dr. Beal has been my dentist for over thirty years and he is a great dentist in my opinion. Kind and pays attention to details." "A very good experience, treated with care and the work is great. They were helpful even after I left Boston by emailing my x-rays." "Pleasant staff. They always spends the time to discuss findings and/or chat about life. I highly recommend."